It's a unique and overwhelming experience that we have been serving Australia since 1987 in bringing forth the best outfits for every sphere. Huge range of high quality products at the most competitive prices is one the obvious reasons of our popularity. 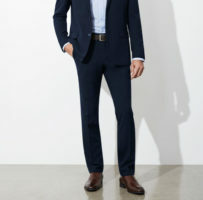 Exciting new fashions are enriched in styles and enhanced in durability to make them fit for your every corporate need. We are always trying our best to help to enhance your corporate image. 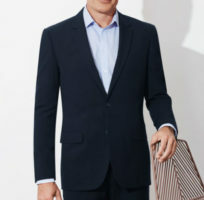 The prime quality corporate uniforms in Melbourne are being supplied by us for more than three decades. Extensive range of superb quality products are include ladies shirts, ladies pants, corporate skirts, ladies jackets, knitwear, men's shirts, men's trouser. Ladies shirts are manufactured in widespread range like No Sweat shirts with polyester fabric displaying the exuberant colors are the ultimate choice of corporate shirts and corporate wear. These attires go hand in hand with comfort and confidence. Ladies shirts in Chirimen prints are also very much in demand. Exclusive range of shirts in corporate stripes, in poly cotton, in stretch poly cotton and yarn dyed check with mechanical stretch is also capturing a large part in our shop on line. Ladies pants and skirts in different styles and colours are designed to compliment every wardrobe. Men's corporate uniforms are also the chief area of our expertise and we have been providing a large number of our satisfied customers.